Eggs are an important part of a healthy diet. They are an easy, quick way to get a burst of protein as an addition to your salad, deviled, or plain, but cooking them can cause us to “crack”. How long should you cook them? Should the water boil or not? When are they done? After all, we can’t really look inside and see when they’ve finished cooking. 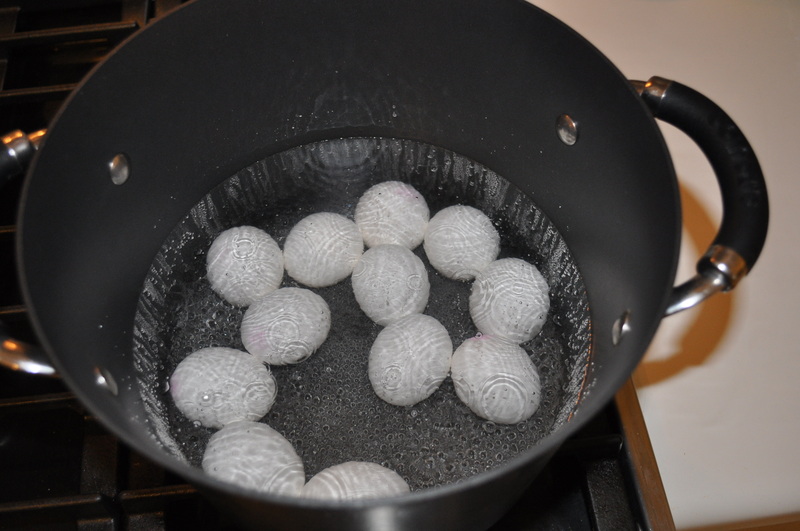 Boiling eggs have never been easier with this fool proof technique. 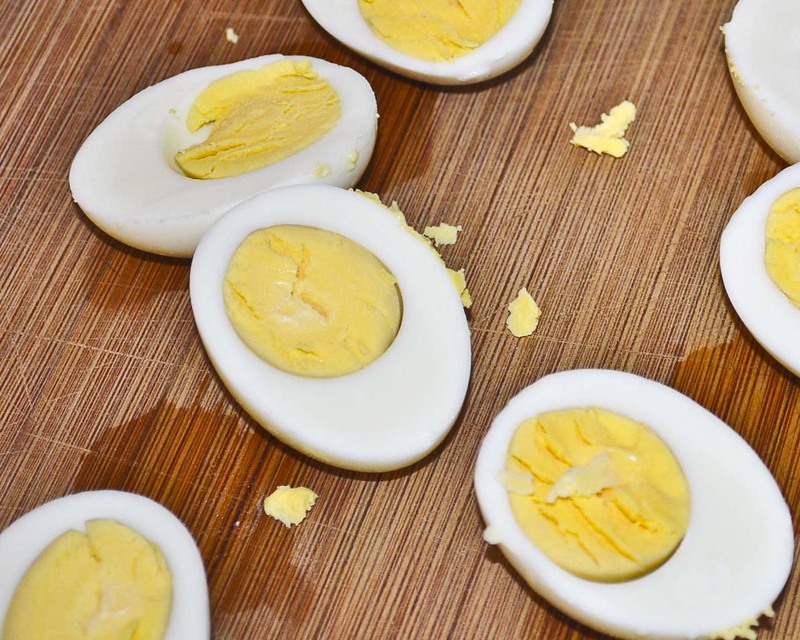 Ever boiled an egg, cut it in half, and seen that ugly greenish ring? That greenish ring is caused from the egg cooking too fast, too long, and too hot. Step 2) Place the pot, uncovered, over medium high heat and bring the water up to a boil. Step 3) As soon as the water reaches a good boil, turn the stove off, remove the pot from the burner and cover with a tight lid. 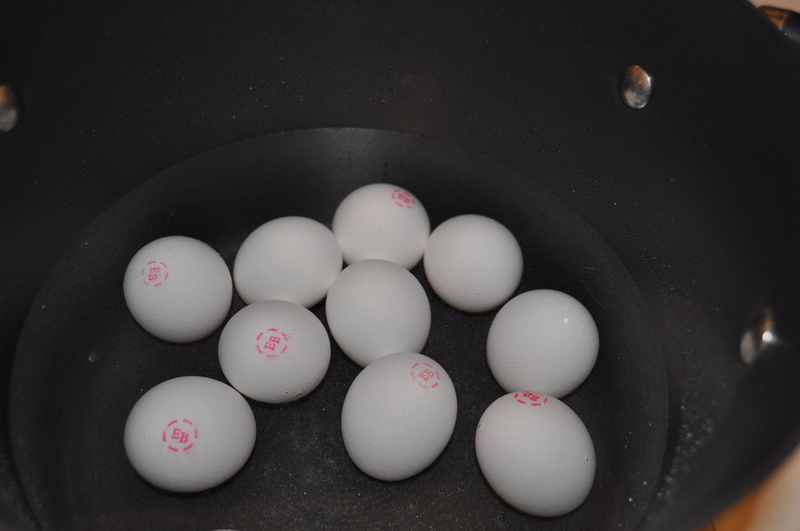 Let the eggs sit for 15 minutes. Bring the pot to the sink, pour out the hot water and replace it with cool water. When the eggs are cool enough to handle, peel and prepare them your favorite way. Perfect eggs every time. Try this and tell us what you think! 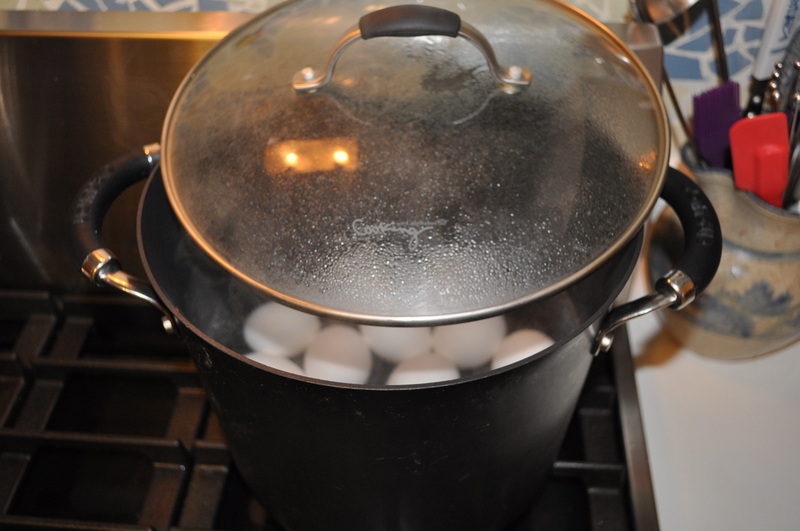 This entry was posted in Article, Tips and tagged eggs, hard boiled, How to by foodies4mmc. Bookmark the permalink.